When the psychedelic movement presented itself in Britain prior to 1967 it was back-shelfed by numerous radio stations and simply not played. It was a crucial part of the burgeoning underground culture and spacey, experimental sounds were initially only played by DJ’s like John Peel on Radio London. The British youth was drawn to psychedelic music’s distinct flavor and caught on quickly, sparking psychedelic clubs to open to accommodate individuals who wanted to tune in and move on from the now tired merseybeat/R&B movement. In 1967, psychedelic music traveled from the undergrounds into the limelight and several bands, who may/probably were not playing psychedelic music, started experimenting with odd sound effects, zany vocals, and different instrumentation. 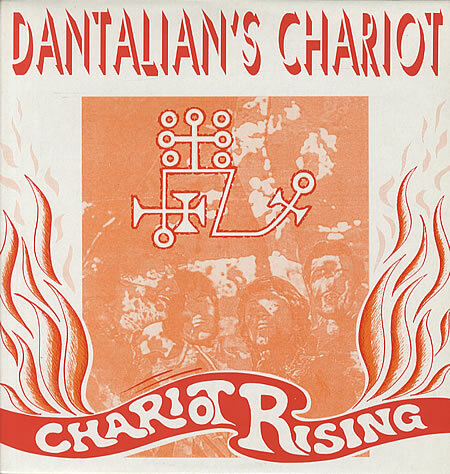 One such band was Dantalian’s Chariot, a band more known for its members than its medieval witchcraft inspired name. Dantalian’s Chariot was founded by George Money, better known as Zoot Money. Zoot was the bandleader and keyboardist for the early 60’s Big Roll Band, which toyed around with rhythmic blues and jazz, garnering success in London clubs, but little album support (even though they were signed by Columbia). This is a solid genre foundation for psychedelic music. But psychedelic fusion, not the pop psychedelia that became pervasive in 1967. In 1967, Zoot formed Dantalian’s Chariot, which was made up of Money, who would later play with the Animals, drummer Colin Allen, who would go on to play with John Mayall and the Bluesbreakers, skilled bassist Pat Donaldson, and a 25-year-old guitarist Andy Somers (prior to changing his surname to Summers) who, of course, is a member of the Police. So Chariot was one of those bands that would be considered a super-group lineup today, but not in 1967. And even though this psychedelic band was only around for a year and released only one album Chariot Rising under the Chariot name, their music is still worth a listen. “The Madman Running Through The Fields,” the only single released by the band, is your classic piece of ’67 psychedelic music with its Byrds-like electric guitar, tape delay sound effects, and ending poetic psychedelic breakdown. Plus, go to the vocal part at around 50-55 seconds. Tell me that doesn’t sound like a Sting-like vocal outburst. Come on. A little? But still, as enjoyable as this piece is, it still falls into the trap of being like so many like it. Show me something Zoot. “This Island” is my favorite song from Dantalian’s Closet. Yes, the sitar was becoming overused in ’67, but the mellifluous ocean sound mixed with western harmonies and strung out keyboard combine to make this song a wonderful example of pre-progressive instrumental. It is a quiet, reserved, unassuming piece and I love it for that. Purchase different type product such as Electric Chariot, Mobility Scooter Electric Chariot, and Electric Mopeds for Adults, Motorized Scooters, Electric Motorbike, Electric Bike Motor etc. Contact today!